Accomplishments: Garrison had the most impactful game of any Pasadena area football player this week. One week after the St. Francis special teams collapsed, Garrison ran the second half kick back 90 yards to give the Golden Knights a 17-7 lead. He also scored on a short TD run and intercepted a pass that SF ultimately turned into 3 points when Jake Smith booted a 38-yard field goal. 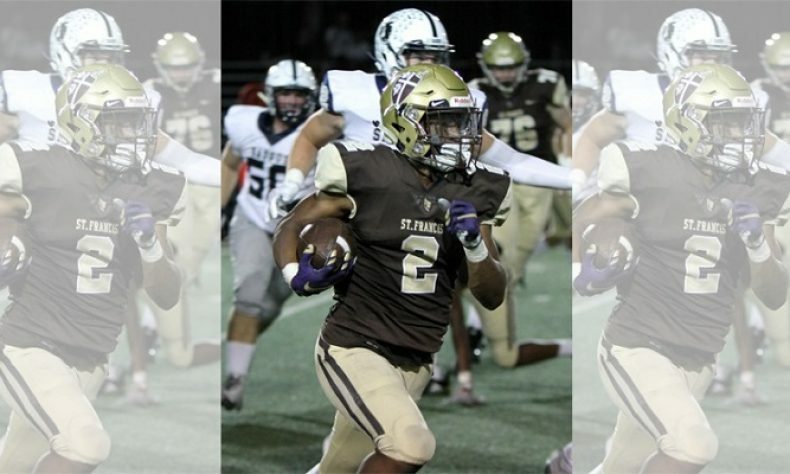 This freshman led St. Francis to a 17-13 victory over previously unbeaten Saugus, and helped the Golden Knights even their season record at 2-2.